Do you need help defining what it is that others value in you? Could you make a business out of this? Would you be open to a personal discovery journey? Are you struggling to market yourself to be employed? The essence of Strengths coaching and Business Model You coaching is to help redefine your own world and see yourself as a business. That’s right: a business. We help you construct a successful personal business model and won’t stop there, as we also want to help sell yourself on the market! LinkedIn profile building are also included in this package. 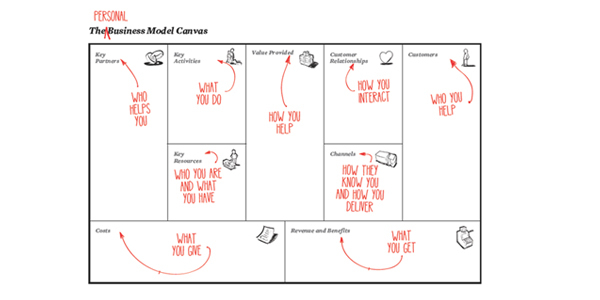 What is Business Model You coaching? We will formulate your own personal Unique Selling Point which is the key to selling yourself with your given skills, abilities and interests. Most people have very little idea as to what they could give to the world, that others demand. In other words what their own successful business model (and marketing model) looks like. Are you one of those people? You will walk out of the business model you coaching session armed with a specific plan to achieve your dream job or your new business. What topics are covered in the personal discovery, Business Model You coaching? I'd like more info or to book my place!